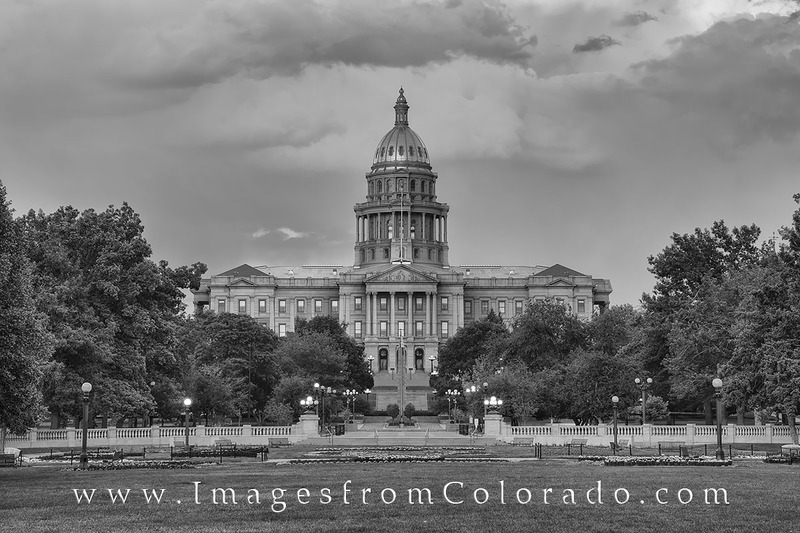 Built in 1894, this black and white photograph shows the Colorado State Capitol as it sits in the Civic Center of downtown Denver. An expansive lawn of well-manicured grass and flower gardens spreads out across acres of open space, perfect for strolling in the evening or morning. This area is the seat of the state government, as well as playing a vital role in the fine arts of bustling. Photo © copyright by Rob Greebon.